Another Long Walk: Another Double Header! 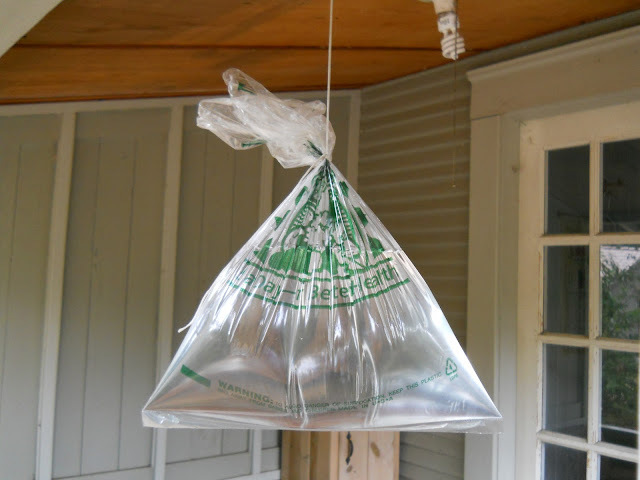 Me: "Why is there a bag of water hanging on our porch?" Amanda: "I don't know. I just don't know...."
Ummm...what does this have to do with your hike? Your pet fish laundered his water and is now hanging it out to dry? "wassamattu said ... It's an Arrakian Pinata!" An experiment to see how long it takes for the water to disappear - or you two to take it down? Hmm.. who said that is water! It's supposed to keep the flies away. No, really--it IS supposed to keep the flies away.